After a scare on Monday, gas service will be restored to nearly all homes in Woburn, Mass. on Thursday. 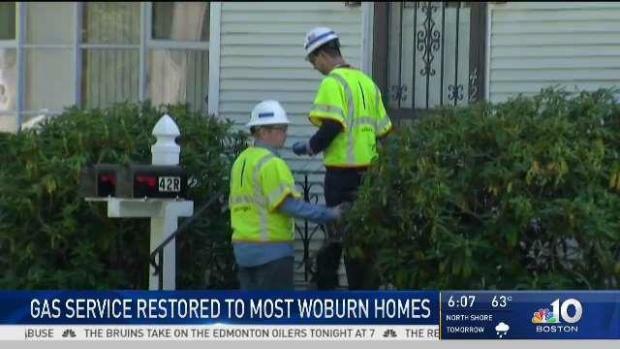 National Grid crews are going door to door Thursday to the last several houses still without gas in Woburn, Massachusetts after more than 300 residences had their service shut off following an incident earlier this week. On Monday, a pipeline in the area experienced an overpressurization issue that led to the shutdown. But as of Wednesday, gas service had been fully restored for most residents. "There was no bathing," Woburn resident Donna Donovan said. "I went over to the YMCA to take care of that, but we still had the electricity and I like to go out to eat so I would say it was an inconvenience more than a major disruption." National Grid technicians have been going to the last homes Thursday to restart individual gas systems. For those who weren't home, notices were left on their door informing customers that their house was ready to get back online. 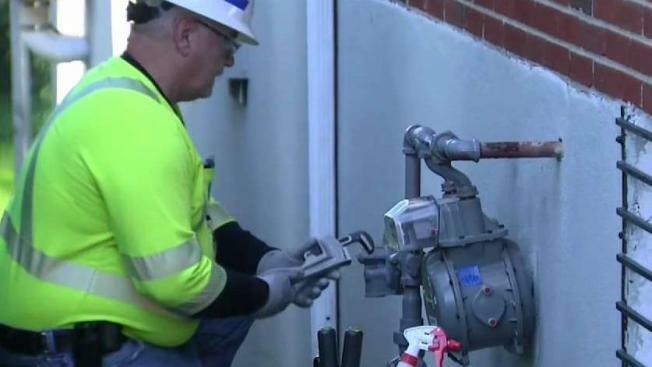 National Grid is nearly finished restoring gas to hundreds of homes in Woburn, Massachusetts, where residents have been without the service since the beginning of the week. "Timing will depend on how quickly we get access to homes, as people will need to be home for us get in," National Grid spokesperson Christine Milligan said. Fortunately, the weather has been cooperative with the crews' efforts. Although it is unclear what caused the overpressurization issue, the incident serves as a stark reminder of the Sept. 13 gas explosions in the Merrimack Valley, where one man was killed and 25 others were injured. As Andover, North Andover and Lawrence recover from the disaster, Woburn residents have expressed their gratitude that their issue was detected early.